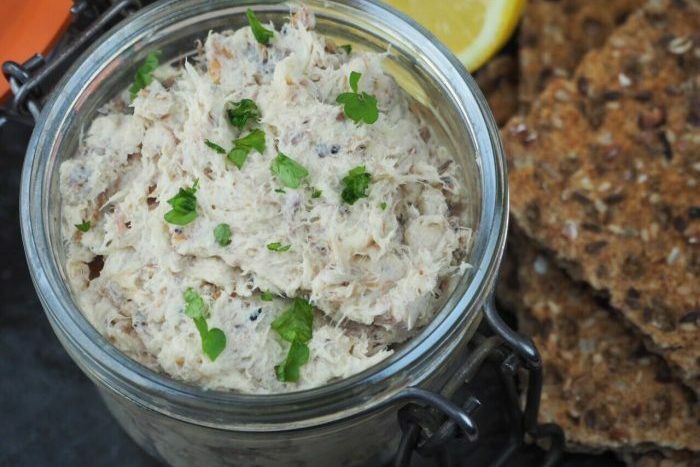 This marvellous mackerel dip is a fantastic way of getting children to prepare and eat oily fish. Once you get them past the smell and the feel of the fish, and dare them to give it a try, we've always found they eat the lot! The Government recommends that we all eat at least 2 portions of fish per week, one of which should be oily. Here’s a fantastic, simple recipe to get you started! Follow a recipe; follow food safety & hygiene rules; tidy away; use measuring spoons and cups; mash; garnish & decorate. Remove the skin and flake the smoked mackerel flesh into a bowl. Break it down with a fork, the more you mix, the smoother the dip will be. Add in the creme fraiche and lemon juice and mix it up. Serve the dip, garnished with the parsley, with some bread sticks or vegetable sticks on the side. 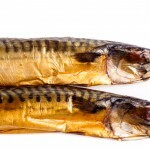 Mackerel is a good source of vitamin D, protein, some B vitamins and selenium. It’s also a rich source of omega-3 fatty acids, a type of fat that is good for our health. 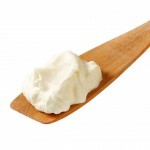 Creme Fraiche is a good source of calcium and protein. It is lower in calories than pure cream and has a tangier flavour, somewhere in between sour cream and yoghurt. Use reduced fat varieties where possible.